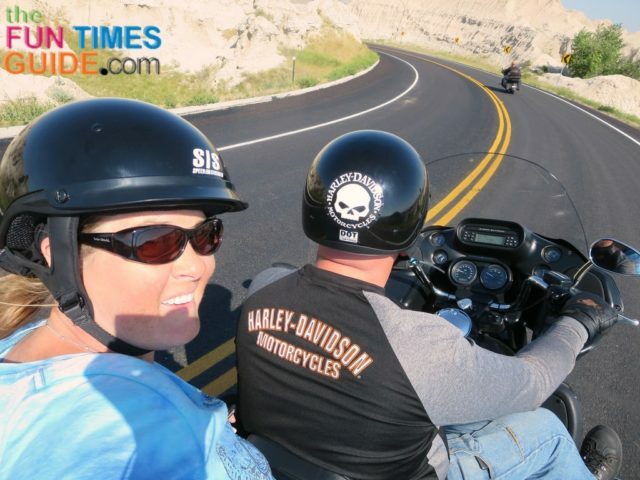 We’ve ridden our motorcycle from Nashville, Tennessee to Sturgis, South Dakota several times — both for the Sturgis Motorcycle Rally, and on our own at different times of the year. 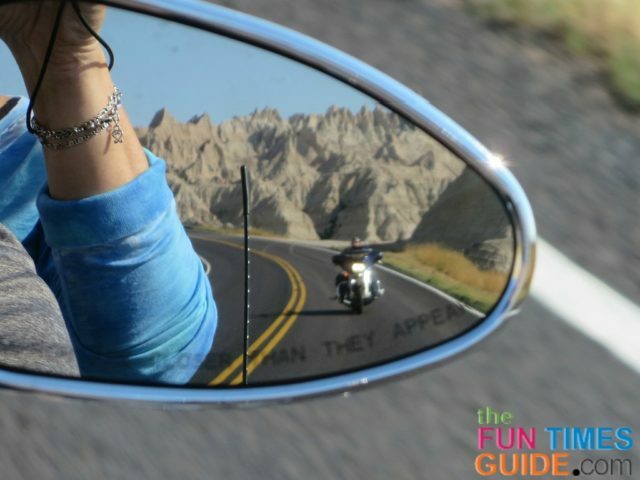 When it comes to choosing the best places to ride, these are the must-do’s! This is without a doubt my all-time most memorable ride around Sturgis. The tunnels and the twisties are a lot of fun. 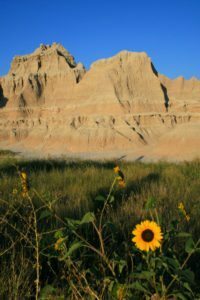 And there are some “hidden gems” along the way — like spotting Mount Rushmore from a distance when you least expect it, amazing rock formations, and photo opportunities with wildlife. road that sticks in my mind. 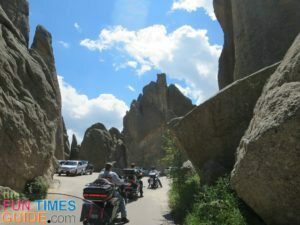 Needles Highway (SD 87) – the northern 14 miles of Highway 87 are known as Needles Highway which has sharp turns, low tunnels and impressive granite spires. The road lies within the 73,000 acre Custer State Park, 30 miles south of Rapid City. Iron Mountain Road (US 16A)- with Custer State Park on one end, and Mount Rushmore National Monument on the other end, Iron Mountain Road includes portions of US Route 16A. It consists of 17 miles, 314 curves, 14 switchbacks, 3 pigtails, 3 tunnels, 4 presidents, and 2 splits. 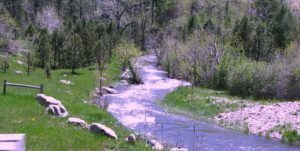 Custer State Park – home to lots of awildlife including bison, pronghorn antelope, mountain goats, bighorn sheep, deer, elk, wild turkeys, and burros. 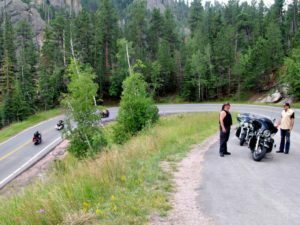 There is a $10 per bike permit required to enter Custer State Park if you want to do the Wildlife Loop Road. The good part: it’s valid for 7 days! Here is the Central Hills motorcycle map. This is (obviously) referred to as the Canyon Ride but technically it’s called the Northern Hills Ride. Riding through tall stream-lined canyons is my favorite part of motorcycle riding — not just around Sturgis. 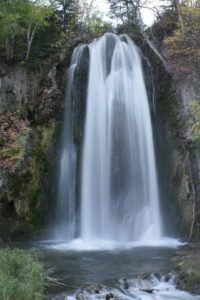 Spearfish Canyon Scenic Byway – located just south of Spearfish SD on the northern edge of Black Hills National Forest, it’s the place everyone heads to for a colorful drive in the fall. The 19-mile road has lots of pull-offs and waterfalls. 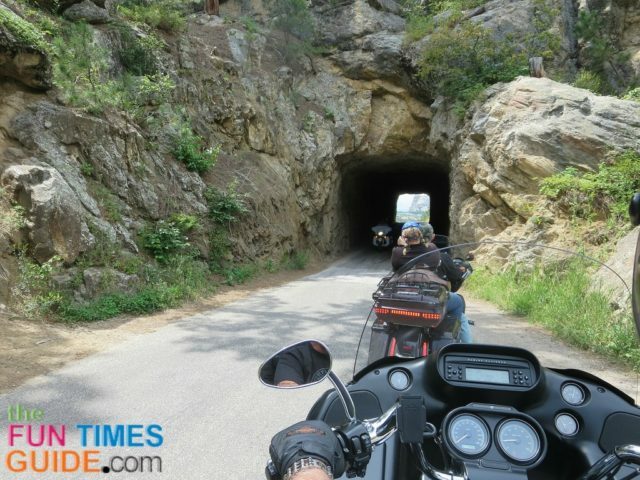 Boulder Canyon (US 14A) – a 12-mile road that links Deadwood and Sturgis. 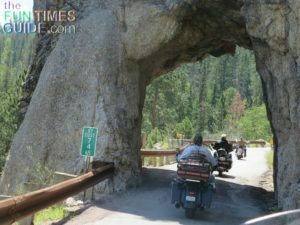 Vanocker Canyon (Forest Service Road 26) – this 17-mile winding road takes you through the towns of Nemo and Deadwood. Here is the Northern Hills motorcycle map. We’ve actually extended this route all the way to Cody Wyoming and Yellowstone National Park before — but that requires some extra days. 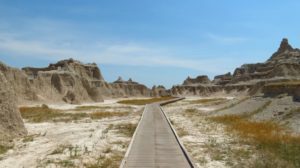 Badlands National Park – the cost is $10 per motorcycle for admission into the park, but it’s well worth it (and good for 7 days). The wildlife you’re likely to see includes: bison, bighorn sheep, prairie dogs, and black-footed ferrets. Wall Drug Store – it’s an old-timey pharmacy store in Wall, SD that has become one of the most popular roadside attractions in the United States thanks to their mile-after-mile series of billboards. But it’s more than just a drug store or pharmacy, it’s actually a shopping mall consisting of many different stores and a restaurant — all under one roof. Quite honestly, Wall Drug has gotten mixed reviews (from myself included) — but if you haven’t been there before, then you should do it. Here is the (SD 240) Badlands Loop motorcycle map. Located near Hulett Wyoming, Devil’s Tower was the first United States National Monument — established in 1906 by President Theodore Roosevelt. (He just so happened to stay at the Franklin Hotel — pictured above — as did Babe Ruth, William Tate, and John Wayne). It’s a 60-million-year-old, 867-foot butte that appeared in the 1977 movie Close Encounters of the Third Kind. Here is the Devil’s Tower Lasso motorcycle map. Personally, I don’t think I’d make a special trip from Sturgis just to go to Devil’s Tower. 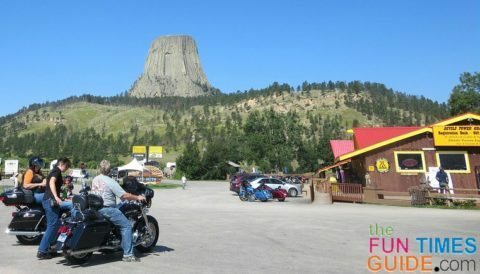 But if you have additional days to spend away from Sturgis, an amazing ride that we’ve done a few times in conjunction with Devil’s Tower is Beartooth Highway in Red Lodge, Montana (5 hours away) and the nearby Chief Joseph Scenic Highway (WY 296). Beartooth always shows up on U.S. lists of the top motorcycle rides and most scenic rides in America. And Beartooth Pass is close to Yellowstone National Park — that’s another great motorcycle ride that we’ve done several times! It’s well worth the drive.